Updated at 12:30pm. 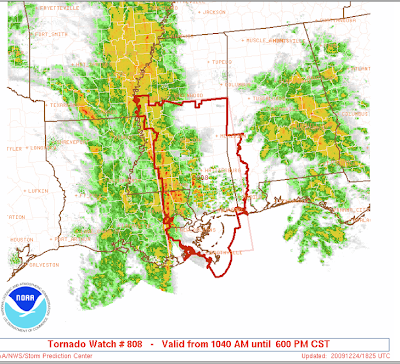 The tornado threat has significantly increased in southeast Louisiana and southern Mississippi. Violent tornadoes may occur. Please keep up on the weather in this region. 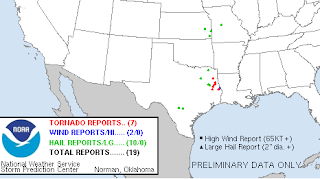 Damaging tornadoes with injuries occurred in east Texas yesterday. If you live in these areas, please keep up on the weather (I am not going to update this post) during this unseasonal tornado threat.